Following the government's decision to permits for three-wheelers, Bajaj Auto will be expanding the production of auto rickshaws and quadricycles by one million per annum. Bajaj Auto will be expanding production of its three-wheeler and Quadricycles up to one million per annum, the manufacturer has announced in a statement. The upscale comes as the government has abolished the "permit" regime that was previously applicable for the sale of auto rickshaws. Minister of Road Transport and Highways (MoRTH) Nitin Gadkari announced the development at the 58th SIAM Annual convention earlier today with the government moving to a "no-permit" regime for auto rickshaws powered by alternate fuels. The expansion will see Bajaj Auto's three-wheeler plant capacity grow by 160,000, increasing from the current 840,000 units. Bajaj retails a host of three-wheeler models ranging from passenger as well as cargo applications. Bajaj further stated that there has been a surge in demand for three-wheelers, owing to the permits released in Maharashtra, Karnataka, Andhra Pradesh and Delhi. Bajaj currently holds an 86 per cent market share in the three-wheeler segment followed by Piaggio, and the announcement is only going to help build more volumes to the company. Between September 2017 and August 2018, the manufacturer sold 435,000 three wheelers in the country, a growth of 88 per cent over the same period last year. The three-wheeler and Qute in international markets grow at a year-to-date growth of 65 per cent. 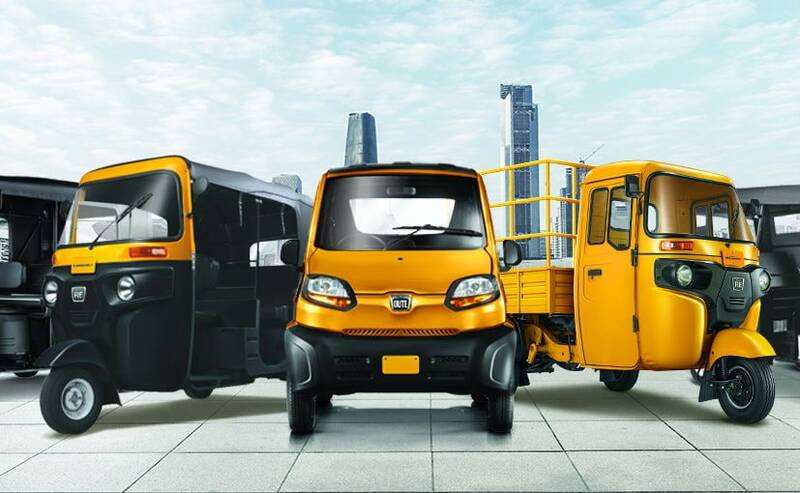 The announcement also brings a big push for the Bajaj Qute that is being approved by more state governments in the country for taxi applications, the statement from Bajaj read. The Bajaj Qute is applicable in CNG and LPG fuel options. The Bajaj Qute is a four-wheeler, that is categorised a quadricycle and can be only used for commercial purposes. The central government cleared the policy to permit the sale of quadricycles in August this year after a directive by the Supreme Court, clearing a long wait for the sale of the model. The Qute's launch was stalled by several Public Interest Litigations (PILs) ever since it was showcased at the 2012 Auto Expo.